The New Year represents new beginnings, the chance for positive change and an opportunity to achieve outstanding goals. For building owners, the New Year may be an opportunity to finally complete an overdue project or make needed renovations, like a replacing a roof. This often gets postponed because of the opportunity cost of shutting down business operations during the removal and installation process. If replacing a roof is in your 2016 plans, know that cost-efficient retrofit options are available that minimize operations downtime, such as the Retro-R® panel. This panel eliminates the roof removal process entirely as it is installed directly over an existing R panel roof. In addition to saving this time in the project schedule and maintaining operations, the Retro-R requires fewer removal and installation accessories, thus reducing cost. 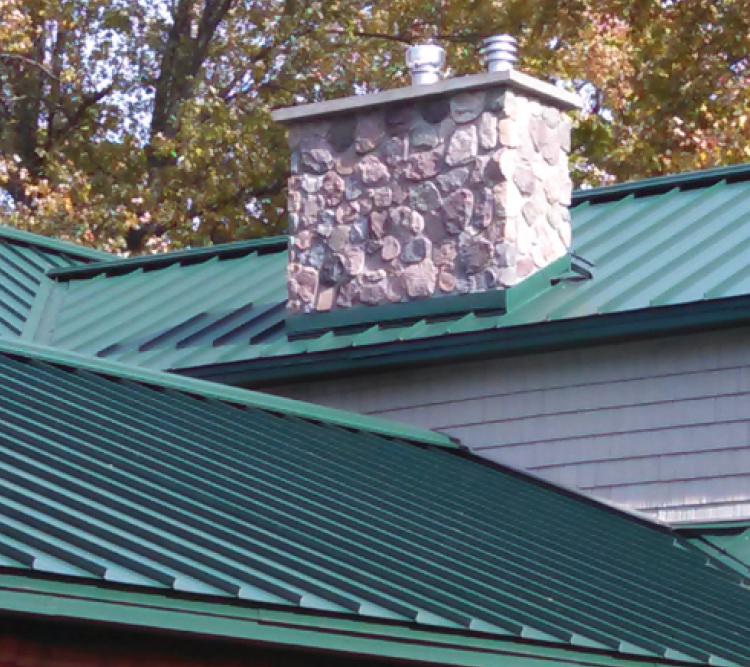 Can Retro-R be installed over any metal roof? Manufactured with specific rib spacing and height, the Retro-R panel is made to fit on top of the Utility R or PBR metal panel. Because of this, the retrofit system can only be installed on existing buildings, rather than new construction. If your existing roof panel is rusted and not structurally sound, these issues must be fixed prior to installing Retro-R or the panel will not perform at optimal levels. When is the ideal time of the year to install Retro-R? Even though any metal panel can be installed throughout the year, the Retro-R panel is exceptionally convenient to install any time due to the fact that the existing roof does not need to be removed to install the new roof. The additional advantage comes from not having to expose the building’s interior to outside elements such as rain or snow. How is the Retro-R panel installed? Although the existing sidelap screws must be removed from the roof before the Retro-R panels are installed, the screws that attach the existing PBR or Utility R panel to the purlins do not. The Retro-R panels are attached with Long Life screws that fasten through the existing PBR panels and into the existing purlins. Once the Retro-R panels are installed, new lap screws are installed through the Retro-R ribs and the existing PBR panel sidelaps. How is moisture controlled between the panels? The Retro-R® panel is manufactured with DRIPSTOP technology which protects both the existing and new roof through condensation control. This innovative product creates a medium for trapping moisture in the specially designed pockets within the felt’s membrane. Holding moisture until conditions go back below the dew point, DRIPSTOP is then able to release the moisture back into the air in the form of normal humidity. To learn more about the Retro-R product, color options and warranties, visit us online at www.ABCMetalRoofing.com.